Battle Row is fairly interesting - lots of posts lying in the weeds. 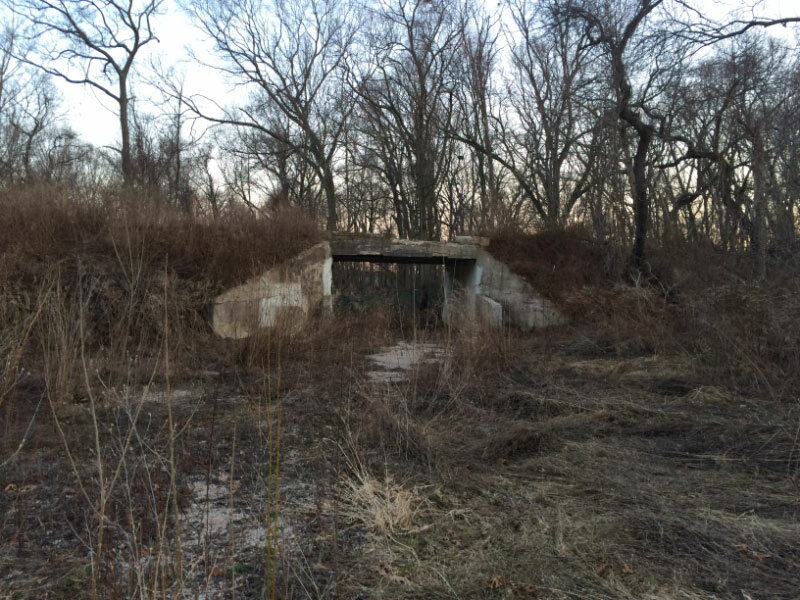 The Motor Parkway pretty quickly makes a left hand turn over Spagnoli Road - former bridge location, nothing remains and into the Old Bethpage Village Restoration. 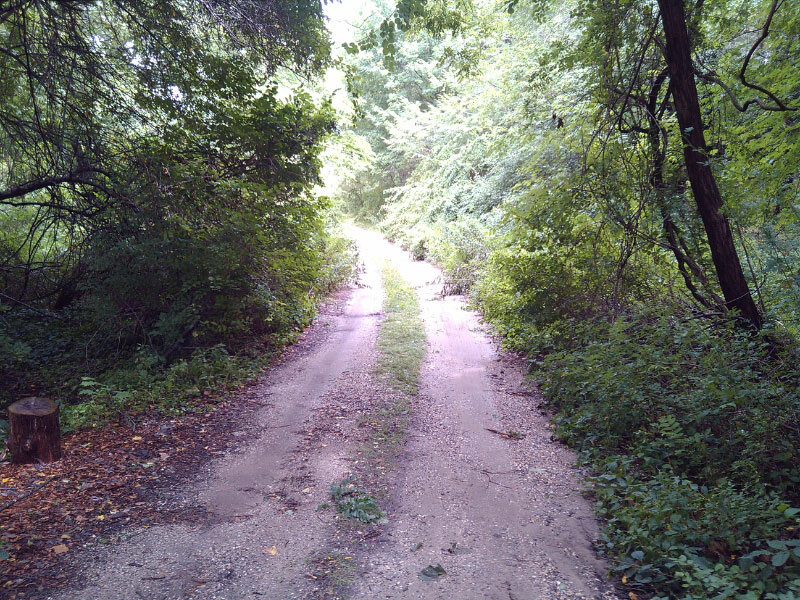 This dirt road leads up to the bridge. 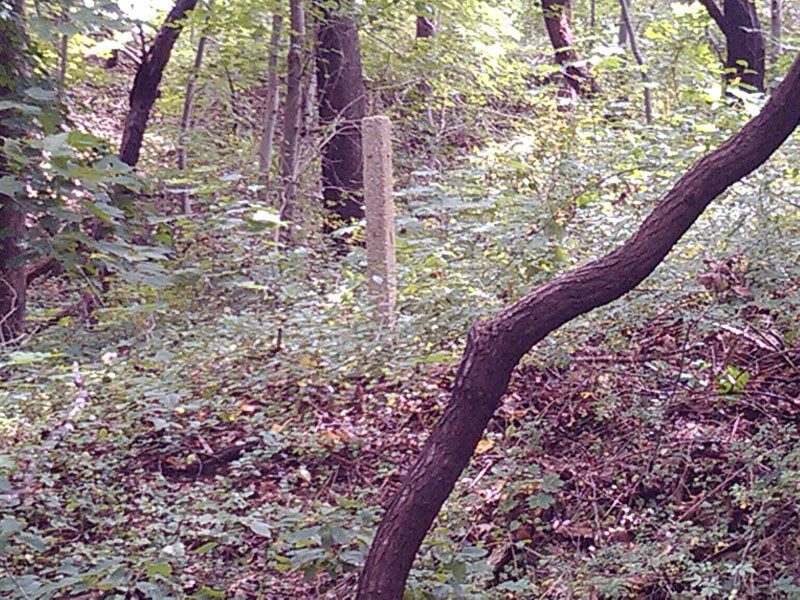 Concrete posts off the side of the road. 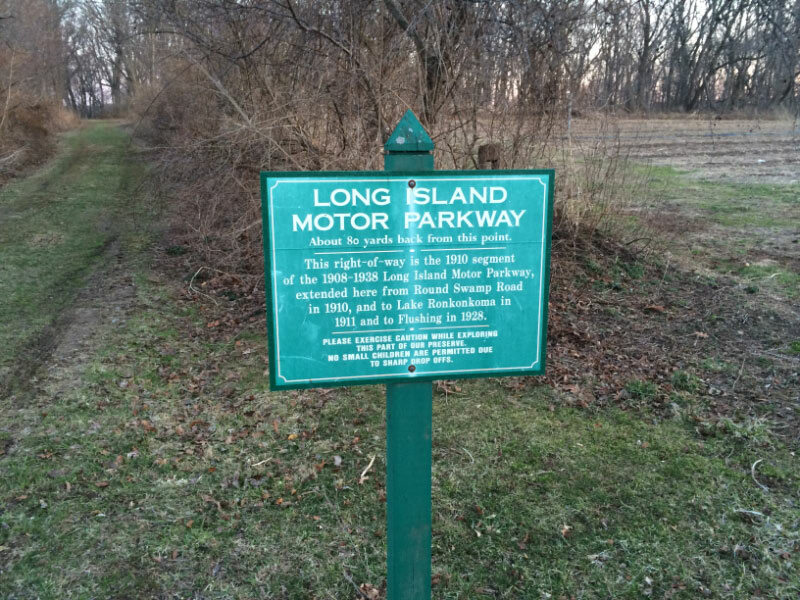 Motor Parkway historic marker in Old Bethpage Village Restoration placed by the Ford Model-A Club. The second remaining Nassau County Bridge in Bethpage Restoration. Great spot. Unlike the Old Courthouse Road Bridge where the cars went under the bridge, this bridge the cars went over and 105 years later it's still intact! 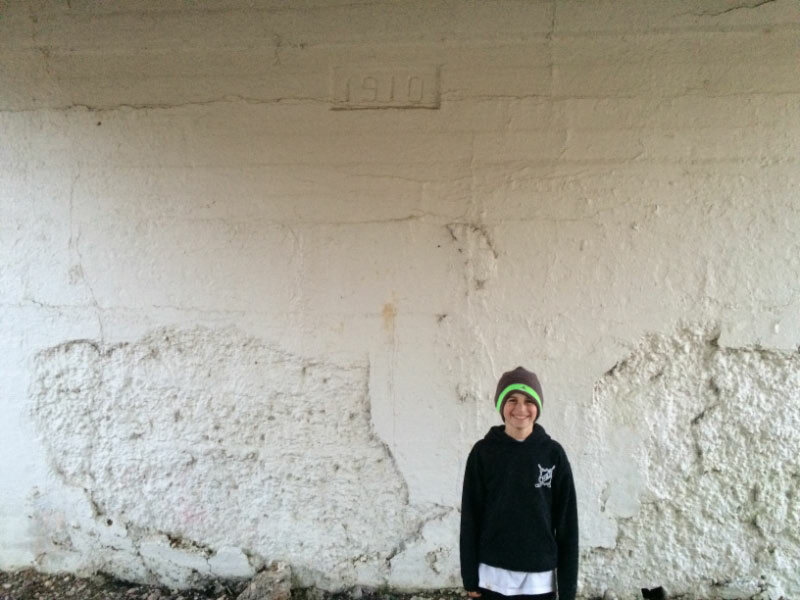 Sammy and the 1910 date stamp. Very interesting to me that this bridge was built AFTER the Old Courthouse Bridge despite it being about a mile away from the Parkway ground-breaking. I guess the priority was to go west and get those city people out to Long Island, and pay tolls!!! It’s so appropriate that this bridge is in the bethpage restoration. The whole place revolves around going back in time and tucked in the back corner of the place (some of the people that work there didn’t even know about it) is the first paved road and one of the two bridges left in Nassau. 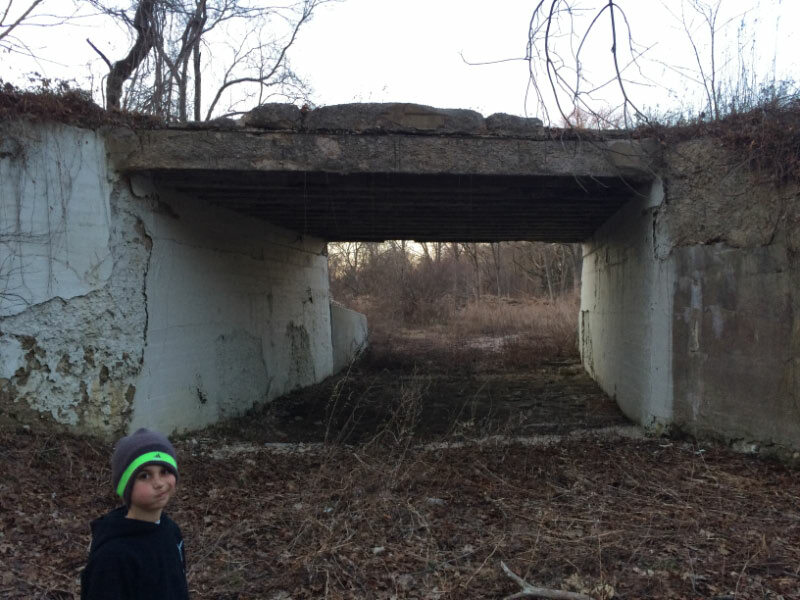 Hopefully Nassau cty will appoint landmark status to this bridge as it has to old courthouse road. If you’ve never been to this location you have to go. When you go here for the first time you get goose bumps. 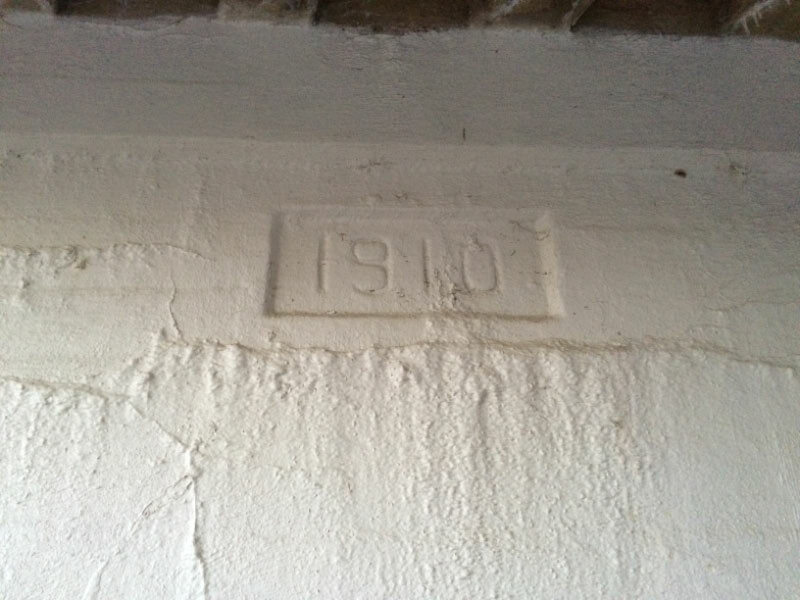 Yes Dave, especially when you stand under the 1910 date right?